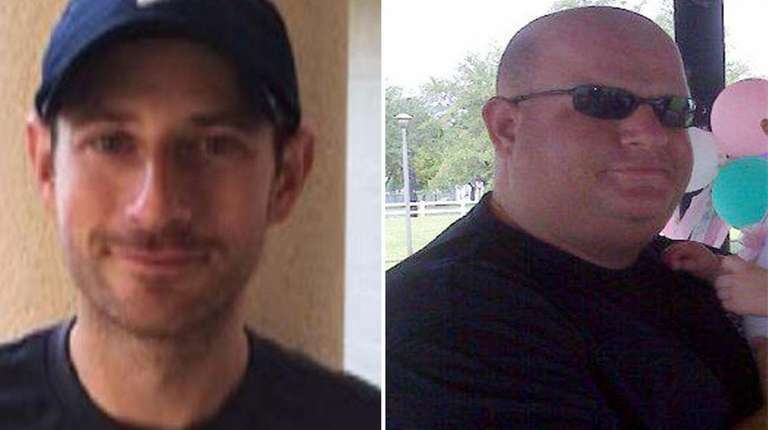 Scott Beigel, 35, and Aaron Feis, 37, were among the 17 people killed in the Parkland, Florida, shooting. Scott Beigel — a popular teacher being hailed as a fallen hero in the South Florida massacre — was remembered Thursday as a “gentle” and “very respectful” boy when he was growing up in Dix Hills. Beigel, 35, was killed while trying to protect classroom students during Wednesday’s mass shooting at a high school in Parkland, Florida, survivors have said. A longtime neighbor, Catherine Horner, said she knew Beigel as a well-behaved boy who lived across the street. For Horner, who’s lived on Hart Place for 40 years, the tragedy hits close to home. Another hero killed in Parkland, junior-varsity football coach Aaron Feis, also had roots in Long Island. Feis, 37, who lived in West Islip as a boy, died in a hail of gunfire after he threw himself in front of students as a human shield, according to news reports. Beigel and Feis were among the 17 people killed during the mass shooting at Marjory Stoneman Douglas High School. Horner remembers Beigel when he was as young as 8, playing ball on the street with her son Brian. Beigel later attended West Hollow Middle School in Melville and Half Hollow Hills High School West in Dix Hills. She was struck by how sensitive and unassuming he was. “All I knew was the gentle side of him,” she said. In later years, Beigel became a youth counselor at Camp Starlight, a summer camp in Starlight, Pennsylvania. In a Facebook post, the camp called him a “beloved friend and hero.” Many former campers recalled him Thursday on Twitter as someone who had an positive impact on their lives. Parkland students who survived the massacre praised Beigel for his selfless actions during the chaos. One of the survivors, Kelsey Friend, said Beigel was trying to protect her and other students when he was killed, according to news reports. She said Beigel was shot as he was trying to lock a classroom door to shield students, who were taking cover inside. “We were all in the classroom with the door wide open,” Friend said. She said the gunman, identified by police as former student Nikolas Cruz, could have entered the classroom and killed everyone. Instead, she said the students stayed in the room without making a sound until a SWAT team rescued them. On Thursday afternoon, Horner looked out her window at the home where Beigel grew up, and where his mother still lives. “Their job is when we have an altercation or a fight or anything, they’re on their golf carts and they’re there immediately and they are dealing with the situation,” he said. When Feis was a boy in the 1980s, his father left the Navy and the family came to live with Feis’ grandfather Raymond Feis in West Islip. Raymond Feis, now 85, said his grandson left the Island when he was about 10. Aaron Feis went on to play football and graduate from the Parkland school. Years later, as a coach at the same school, Aaron Feis became a protector and confidant to many students, the grandfather said. He said he felt proud as he learned of the many tributes to Aaron Feis posted on social media. 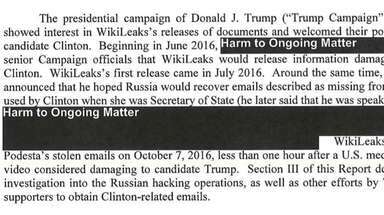 “They’re all true,” he said. Florida school shooting: By the numbersA South Florida high school is in the national spotlight after a gunman attacked Wednesday afternoon, killing 17 people. Sheriff: Suspect confessed to Florida school attackPolice say Nikolas Cruz, 19, opened fire with a semi-automatic weapon in the deadliest school shooting since Sandy Hook Elementary School. What we know, don’t know about Fla. school shootingWhat we knowAt least 17 people are dead after a shooting at Marjory Stoneman Douglas ... Letters: Readers react to Florida school shootingEmail letters@newsday.com to share your thoughts.